You probably know someone who has dementia or Alzheimer’s Disease, or are worried that you might be at risk of developing this degenerative brain disorder. September is World Alzheimer’s Month, so take this time to learn the facts about Alzheimer’s Disease, and find out how treating your hearing loss could be the key to reducing your risk of developing dementia. Alzheimer’s Disease, the most common form of dementia, is a progressive and irreversible brain disorder that slowly changes the brain. It destroys memory, disrupts thinking skills, and eventually makes performing daily tasks completely impossible. Changes in the brain often start 10 years before any signs of Alzheimer’s Disease are noticeable. 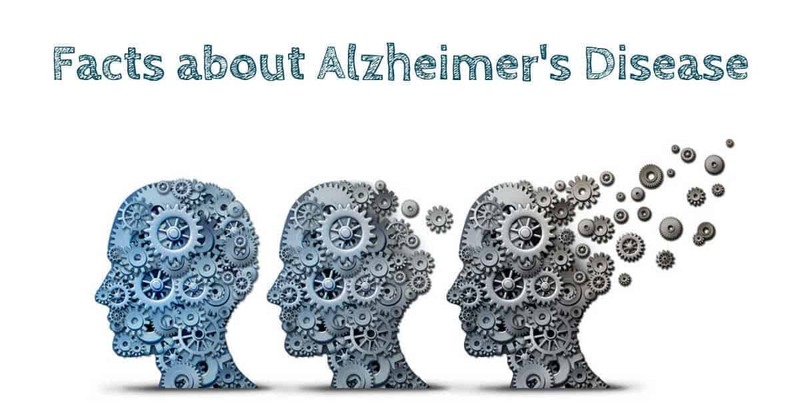 Alzheimer’s disease is caused by a build-up of proteins in the brain that cause plagues and tangles. These cells damage neurons and disrupt the connections between neurons in the brain. For example, the parts of your brain that are associated with thinking can’t communicate properly with language centers in the brain, and you’ll experience difficulty speaking. As these connections are damaged, many cells die and the brain shrinks drastically in size. The first signs of Alzheimer’s Disease usually appear after the age of 65, and it’s estimated that over 5.5 million Americans are living with Alzheimer’s. Along with heart disease and cancer, Alzheimer’s disease is one of the leading causes of death among older adults. As dementia progresses, cognitive functioning is reduced, and you’ll notice problems in remembering, thinking, reasoning, and communicating. Behavioral abilities are affected, and personality and mood changes also appear as the disease progresses. The most well-known sign of Alzheimer’s Disease has to do with memory. We all forget where we put the car keys sometimes, but someone with dementia is likely to forget recent events, misplace things many times in a day, or even forget where they are, or how they got there. Another common sign of dementia is having language problems, such as difficulty finding the right word, or losing your train of thought in the middle of a sentence. People with dementia often repeat the same questions several times. In the early stages of Alzheimer’s Disease, you might notice it takes far longer to perform routine daily tasks, and may experience slight changes in personality or mood. As the disease progresses, people struggle to recognize family or friends, find it nearly impossible to learn near things, or even accomplish the tasks of daily life, like getting dressed or feeding themselves. When plaques and tangles have increased throughout the brain, people are unable to communicate, undergo major personality changes, and are completely dependent on caregivers. Since there’s no cure for Alzheimer’s Disease, and symptoms often don’t show up until several years after the onset of Alzheimer’s, its important to do everything you can to reduce your risk of dementia by keeping your brain healthy. A healthy diet, regular exercise, and a vibrant social network all play a huge role in your brain health. Treating your hearing loss is one of the best things you can do for your brain. Scientists have known about the links between hearing loss and dementia for a long time, and they’ve discovered that living with untreated hearing loss speeds up cognitive decline and greatly increases your risk of developing dementia or Alzheimer’s Disease. Treating hearing loss could save your brain, and allow you to enjoy a long and happy life. To reduce your risk of Alzheimer’s Disease, it’s important to have mentally stimulating activities, and feel engaged with the world around you. If you can’t hear, feel socially isolated and alone, and have stopped leaving the house since you’re embarrasses that you can’t communicate, then it’s time to invest in hearing aids! Not only will they help you hear, they’ll keep your brain healthy and active for years to come. At My Hearing Centers, our dedicated team of hearing specialists will help you find the perfect hearing device that will help you hear in any situation. From the quiet of your living room to the noisy restaurant or the park with your grandkids, our hearing aids can hear it all, and will help you keep your brain healthy.